HOLLYWOOD – A comprehensive history of Hollywood, written by the man who put up the ‘H’. So Los Angeles. The turn of the century. A sparse neighborhood. A traveler rests on path halfway up a hill when a Chinese man leading a donkey pulling a cart filled with timber. ‘What’s the name of this place?’ the traveler asks. Chinese fella thinks he’s being asked what he’s doing. Forget that there are Hollywoods all over the country. 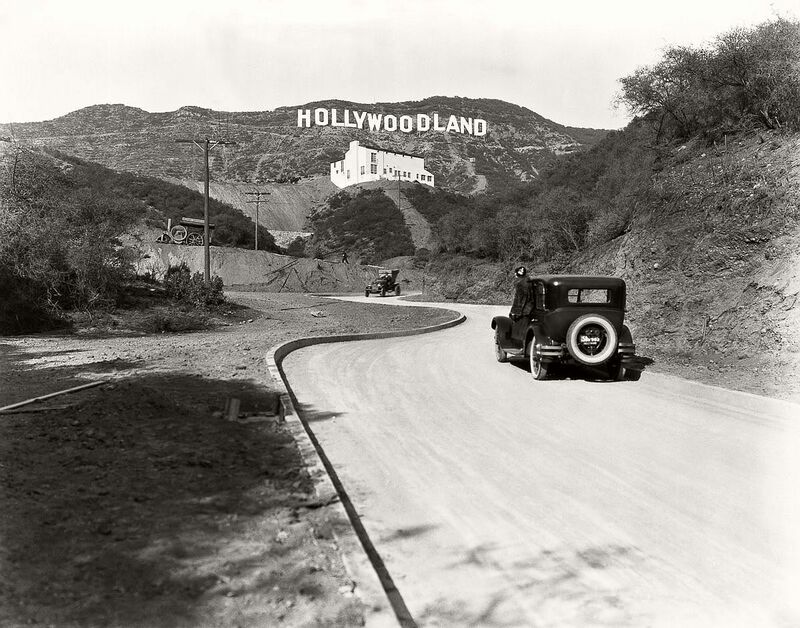 There are twenty four places called Hollywood to be exact. There are two in Ireland. And there’s one in Yorkshire, United Kingdom. From which we can conclude that this Chinese fella and his cart certainly marked up the mileage. But it’s fitting that the place is mark with an improbable story, because that was basically going to be the job for a good few decades to come.